Seed Savers Exchange near Decorah, Iowa, is hosting a free Tomato Tasting and Seed Saving Workshop on Saturday, September 1, 2012. The Tomato Tasting will run from 1:00 – 4:00 pm, offering visitors the opportunity to sample a wide variety of heirloom tomatoes and learn how to save tomato seeds. The event will be held at the Lillian Goldman Visitors Center. More than 40 varieties of tomatoes of all colors and sizes will be available, including yellow cherry, pink beefsteak, striped stuffing, red grape and green roma’s. This year’s tasting will include 10 rare varieties from Seed Savers Exchange’s seed bank collection. 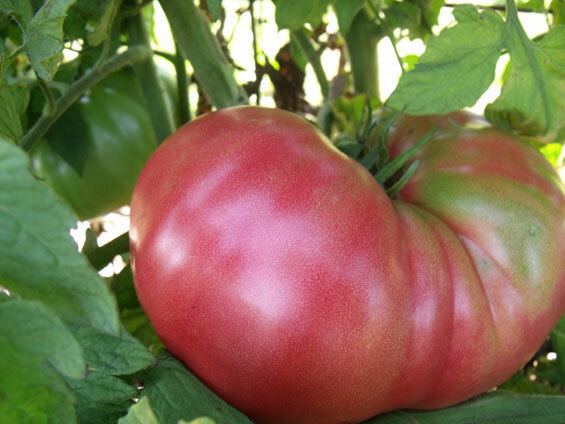 Last year, Dester, a beefsteak tomato from the rare varieties was voted most popular. The Oneota Food Co-op in Decorah is sponsoring this year’s Salsa Contest. Limited to 25 entrants, applications are available at the Co-op, by calling 563-382-4666, and online at www.oneotacoop.com. The registration deadline is Monday, August 27. The co-op will also be providing food for purchase during the event. There will be tomato seed saving workshops beginning at 12:00 noon featuring Seed Savers Exchange staff as well as tomato advisor and expert Craig LeHoullier. LeHoullier will give two talks, Tasting the Biodiversity of Tomatoes and Tomatoes with Great Stories and Great Flavors. Visitors will be able to tour Seed Savers Exchange’s tomato gardens. Guided hayride tours begin at 12:00 noon and are scheduled for every 45 minutes. “This family event gives people the opportunity to experience the wide diversity of tomatoes available, and learn how to improve their own gardening experience,” says Diane Ott Whealy, co-founder of Seed Savers Exchange. The event will include music with special activities planned for kids.